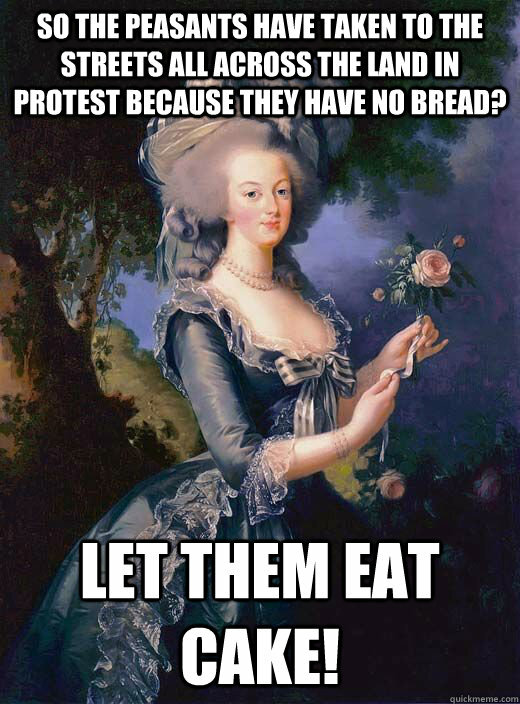 so the peasants have taken to the streets all across the land in protest because they have no bread? 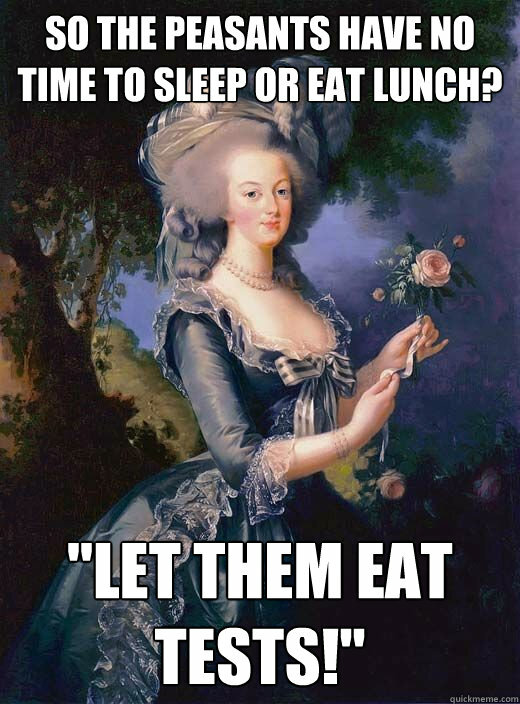 let them eat cake! Mogst ka Brot? Do host an Kuchn! 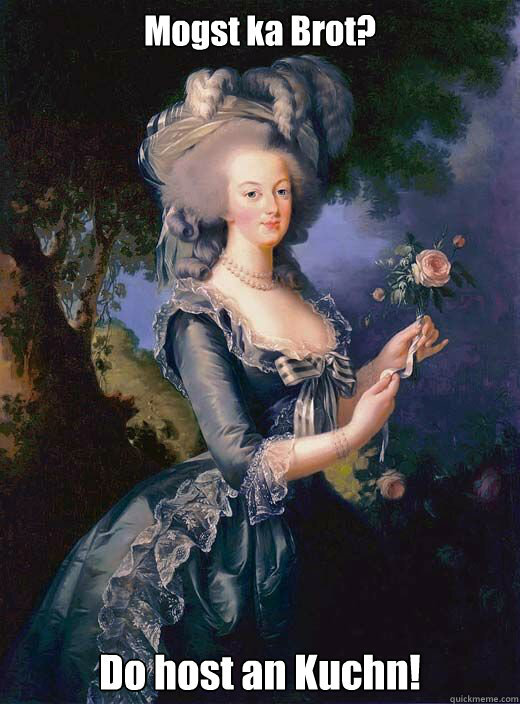 Let them eat cake? 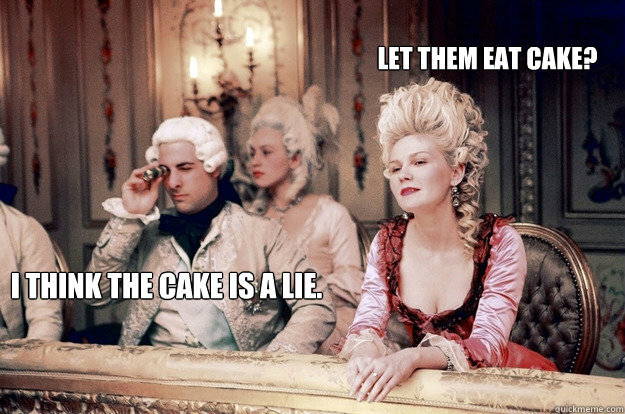 I think the cake is a lie. 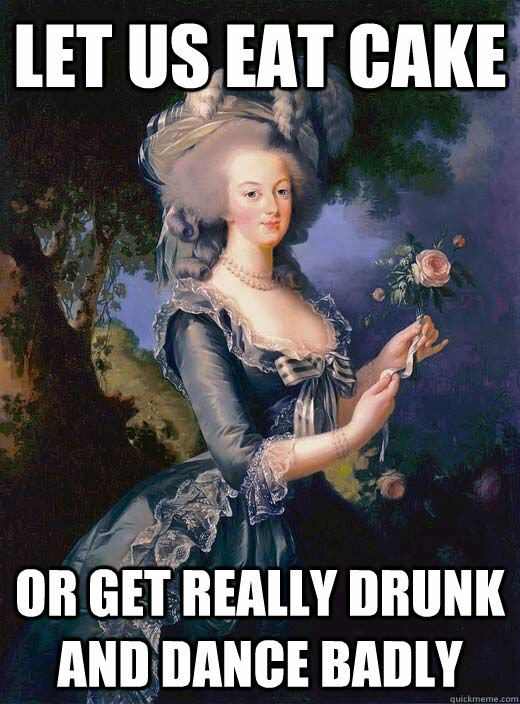 So the peasants have no time to sleep or eat lunch? 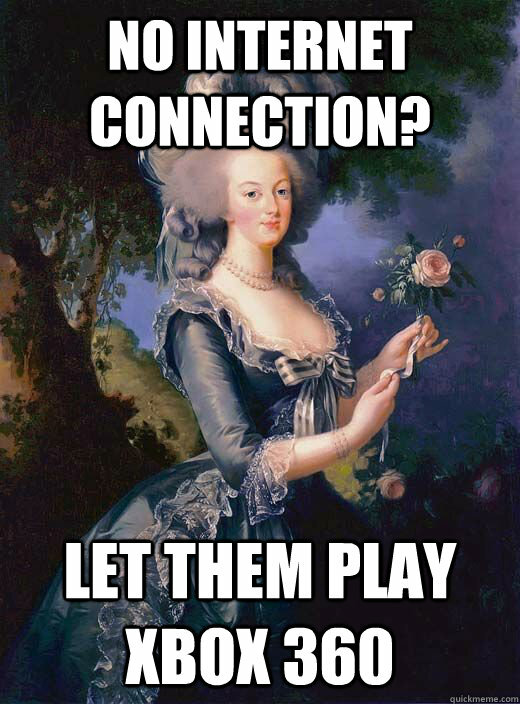 "Let them eat tests!"